1. A custom one-piece bathing suit from Loli'i swimwear – because not everyone is the same size on the top and the bottom. Loli'i Swimwear allows you to customize the size of the top and bottom of your one-piece so it will ACTUALLY fit the way you want it to. Get yours here for $92 (available in 58 different fabrics, with varying custom sizes). 2. A versatile cover-up from Project Runway alum Kini Zamora for the perfect touch to any summertime outfit (or bikini). Get it from Kini Zamora for $65 (available in additional patterns). 3. 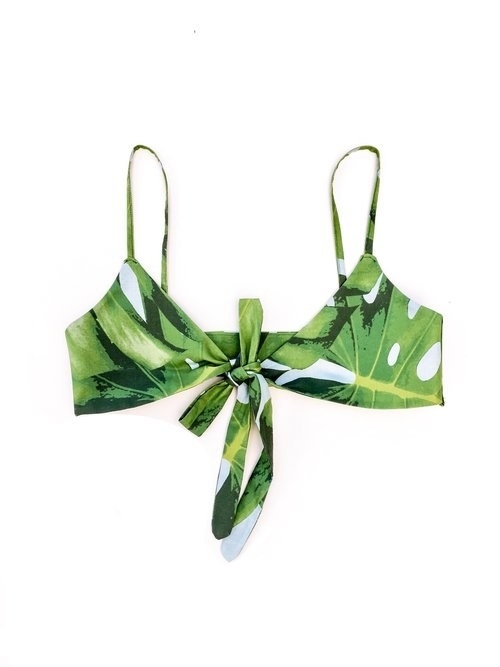 A monstera leaf–print bralette from Virginia Paresa that will pair perfectly with jean shorts. If you ever weren't sure what to wear to a festival, we got you. Get it from Virginia Paresa for $65 (available in sizes small and medium). 4. An incredible-smelling, organic, Calendula-infused sunflower essential oil with rose petals, from Hawk and Hāloa. 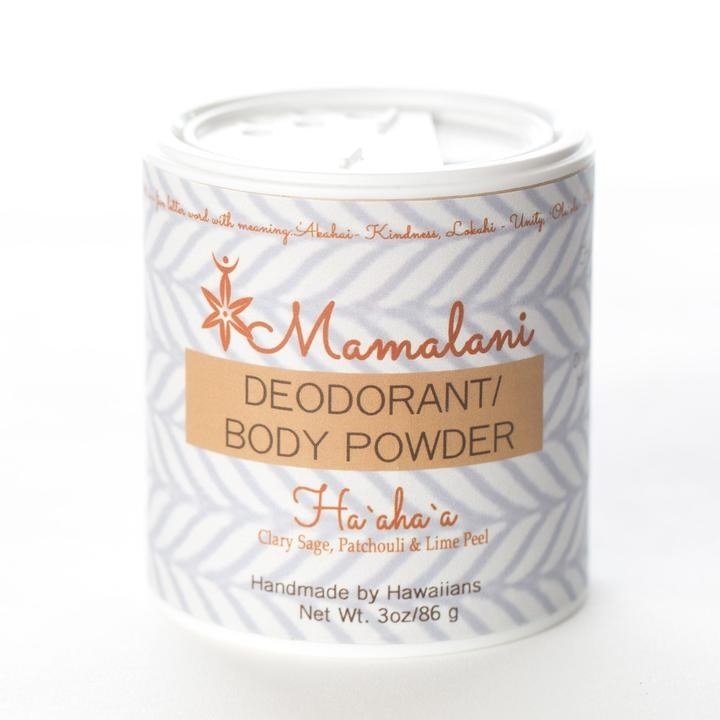 Get this essential oil from Hawk and Hāloa on Etsy for $11. 5. An indigo constellation onesie from Waiho'olu'u Ola that any baby in your life will love. Your baby is gonna look cool as hell. Get this onesie from Waiho'olu'u Ola on Etsy for $22 (available in three different sizes). 6. A two-piece set from Lola Miller that is perfect for any summer wedding, party, or festival. Do you see that side slit?!? Get this two-piece skirt and top from Lola Miller for $75 (available in sizes M-XXL). 7. An all-natural powder deodorant from Mamalani that will keep you smelling nice all summer. Because smelling nice during the summer is equally as important as putting on sunscreen IMHO. 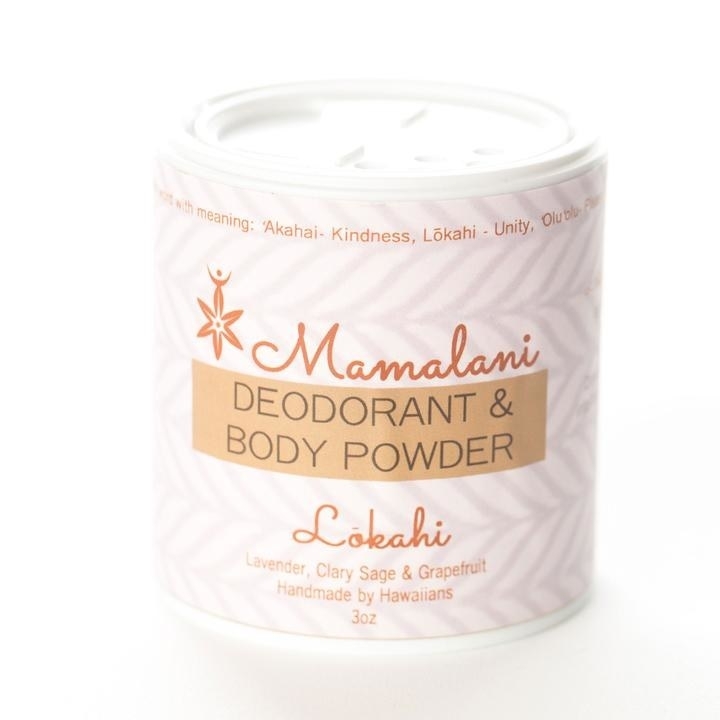 Get each scent of natural deodorant from Mamalani for $12. 8. 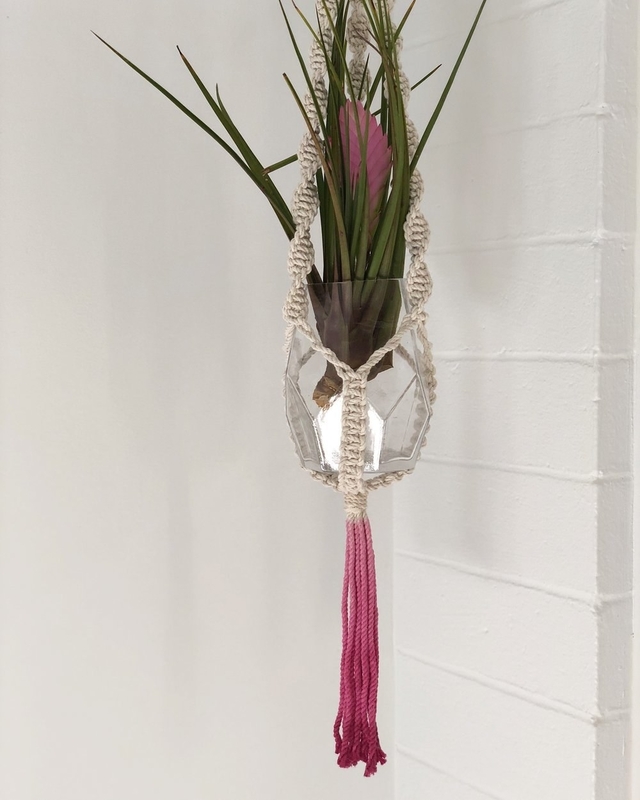 A pink ombre plant hanger from NottedNest to spruce up any space. Your plant will THANK YOU. 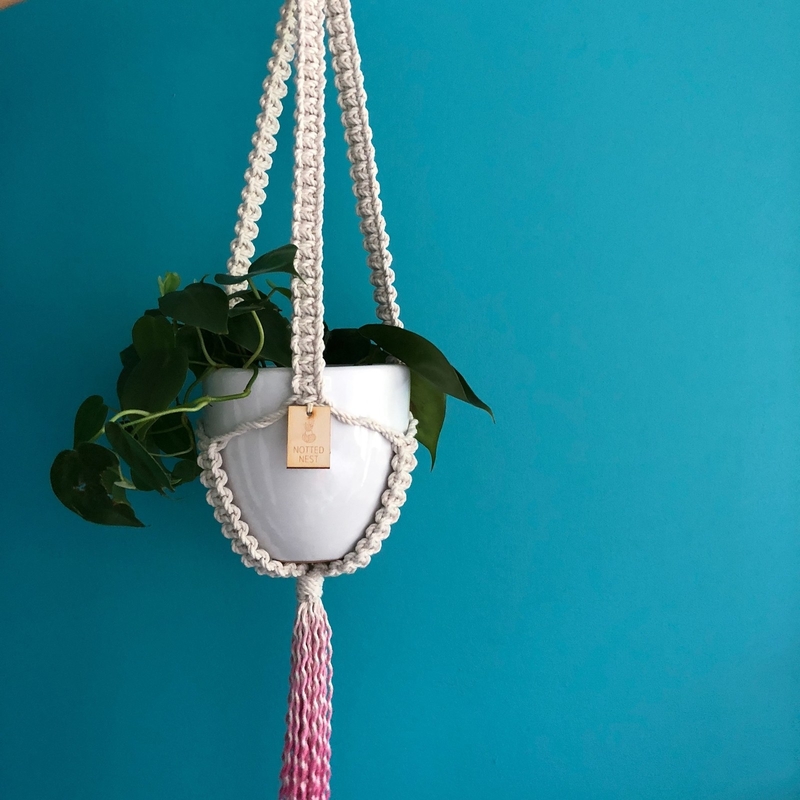 Get this plant hanger from NottedNest for $45 (available in two colors and two styles). 9. A colorful, vintage-inspired summer dress from Manuhealii. Partridge family, eat your heart out! Get this dress from Manuhealii for $78 (available in five colors and sizes XXS-L). 10. 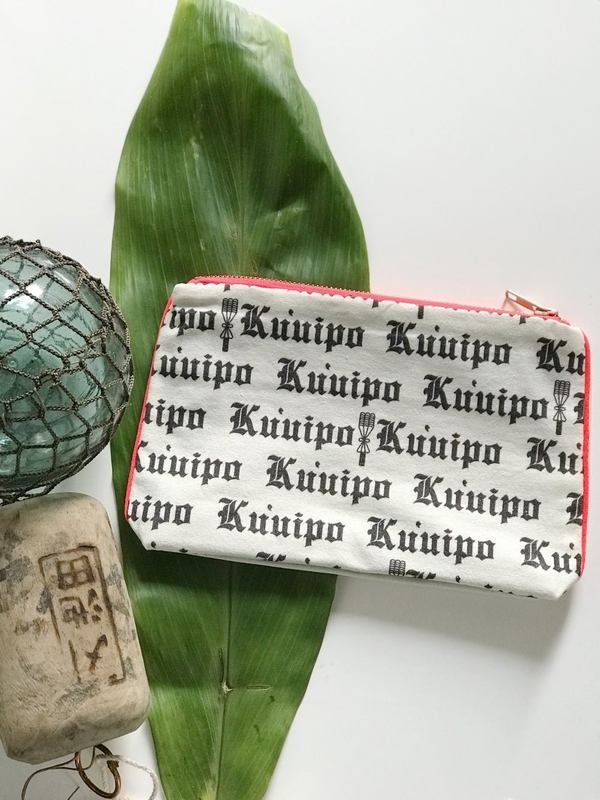 A "kuuipo" makeup pouch from Wa'ahia for the sweetheart in your life. 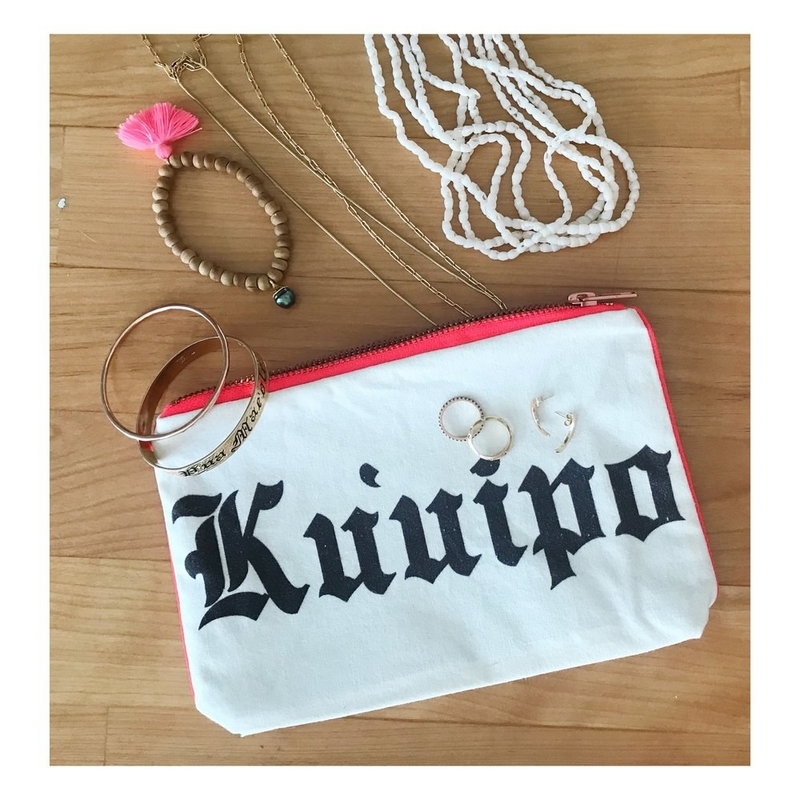 "Ku'uipo" means "sweetheart" in Hawaiian, and the sweetheart in your life will be all smiles if you surprise them with this! Get this catchall makeup/travel bag from Wa'ahia for $45. 11. An ulua print aloha shirt from Sig Zane is the ultimate way to dress for casual Friday. Trust me, every man looks great in a Hawaiian shirt. Get this button down for the kāne in your life from Sig Zane for $110 (available in sizes S-4XL). 12. A greeting card to send love or aloha to someone special, from Kahea Mana Hina. Shop these greeting cards from Mori Hawaii for $6. 13. 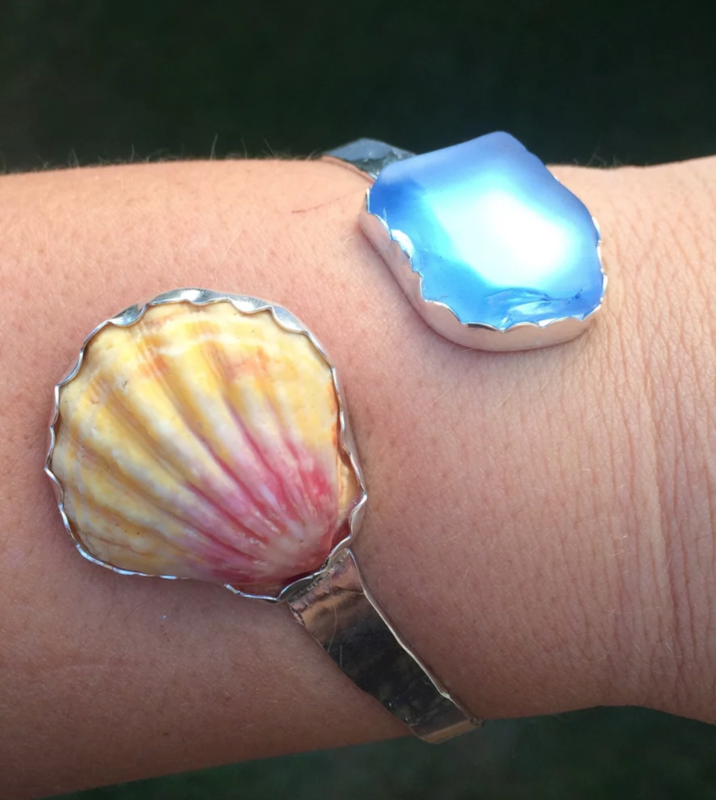 A seashell bracelet made from real shells that practically screams "SUMMER," from Sassy Lassy Jewelry Hawaii. Become the little mermaid of your dreams! 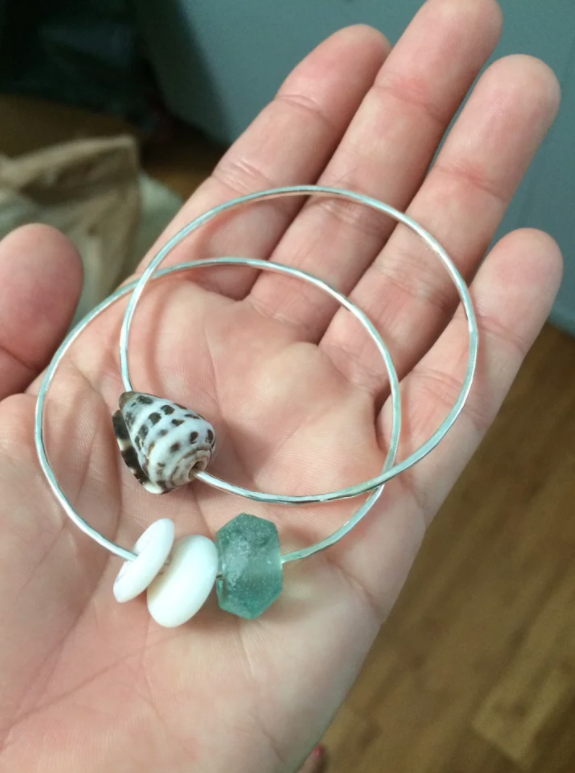 Get the sunrise shell and seaglass bangle for $125 and the sterling silver cone shell bracelet for $30 from Sassy Lassy Jewelry Hawaii. 14. A simple shift dress that will look carelessly chic, from Kealopiko. Does it look more like the ocean, the beach, or both to you? Get this dress from Kealopiko for $70 (available in sizes XS-XL). 15. A hand-whittled birch wood wall hanging from Ittai Wong that will spruce up any living space. Opihi are tiny sea snails native to Hawaii. They aren't only beautiful, but they are ono (tasty) as well. This piece is one of six Hawaiian shells in the series. Get it from StudioIIWI on Etsy for $75. 16. A perfect yellow two-piece bathing suit from PoshPua that will bring the sun out of hiding. 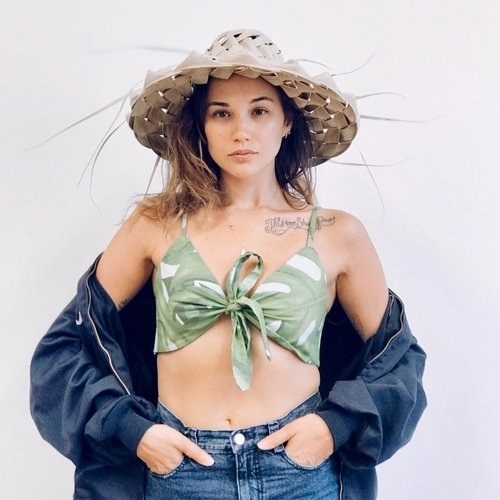 Get the bathing suit top for $84 and the bottoms for $84 from HoloholoSurf (available in sizes S-L). 17. 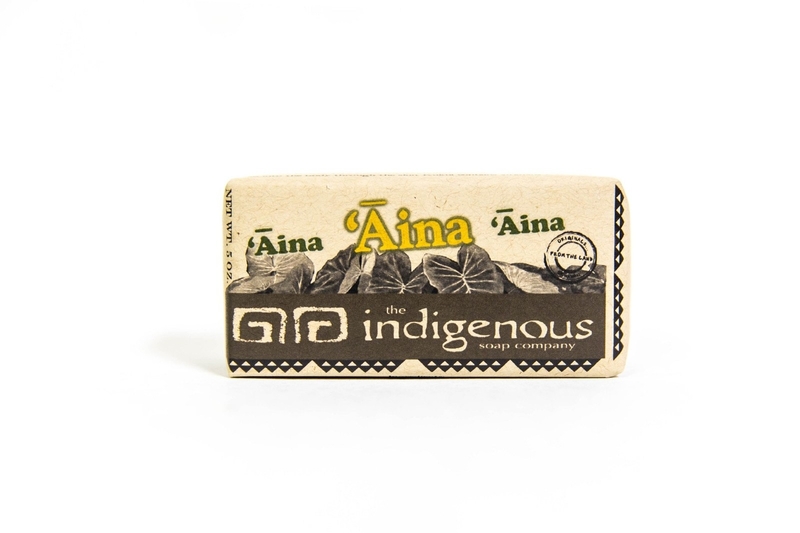 An all-natural soap from The Indigenous Soap Company. 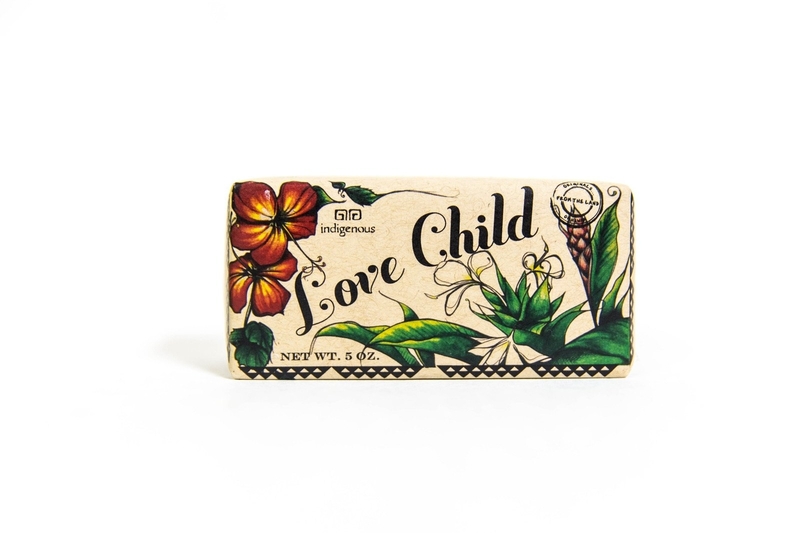 Get the Aina soap for $8.50 and the Love Child soap for $8.50 from The Indigenous Soap Company. 18. A wave ring from CaptureMauiHawaii to remind you of your favorite beach days. At the least, it will remind you of Moana! Get this ring from CaptureMauiHawaii on Etsy for $36 (available in silver or gold and in sizes 5-8). Click here to donate to the Hawaii chapter of the American Red Cross to help those affected by the volcanic eruptions on the Big Island of Hawaii. Check out how BuzzFeed is celebrating Asian Pacific American Heritage Month!